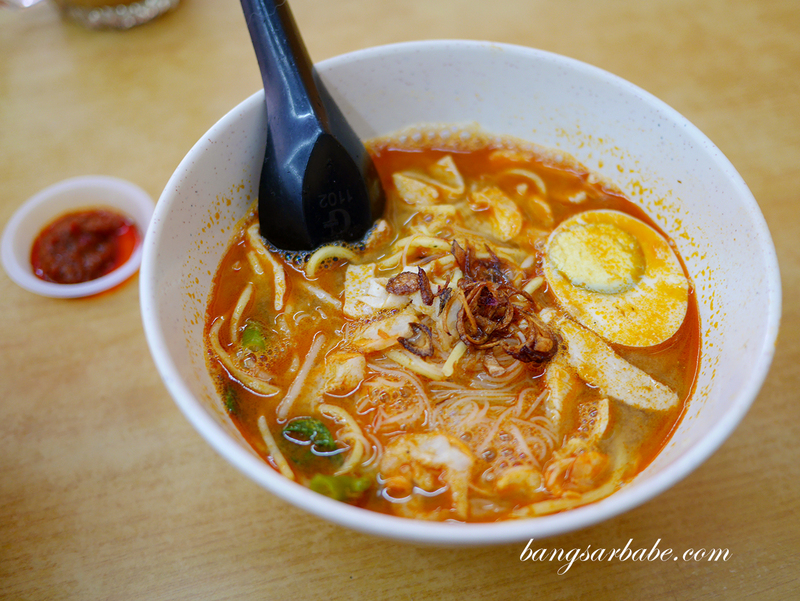 Penang prawn mee is something I’ve grown to enjoy but finding a good version in Klang Valley has been quite a challenge. 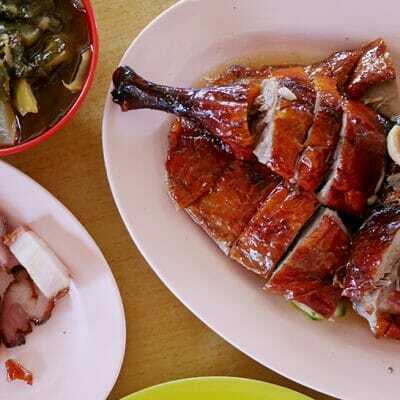 My regular haunt is a tad pricey considering the portion so when a friend recommended the prawn mee at Lim Sisters in Kepong, rif and I scheduled a visit that weekend itself. Alas, we were there past 11am and they had just run out of prawn mee. 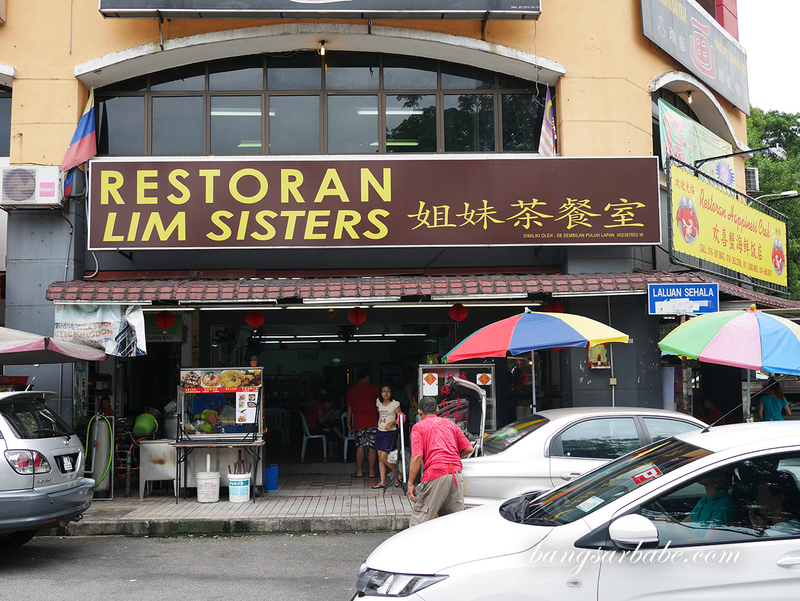 We visited Lim Sisters the following weekend and got to the coffeeshop by 8.30am. Ordering is straightforward – you go to the very nice aunty or young chap manning the stall and tell them what you want. I like that they speak good English so ordering was a breeze. Pork ribs are available during the weekends but you can do without, to be honest. 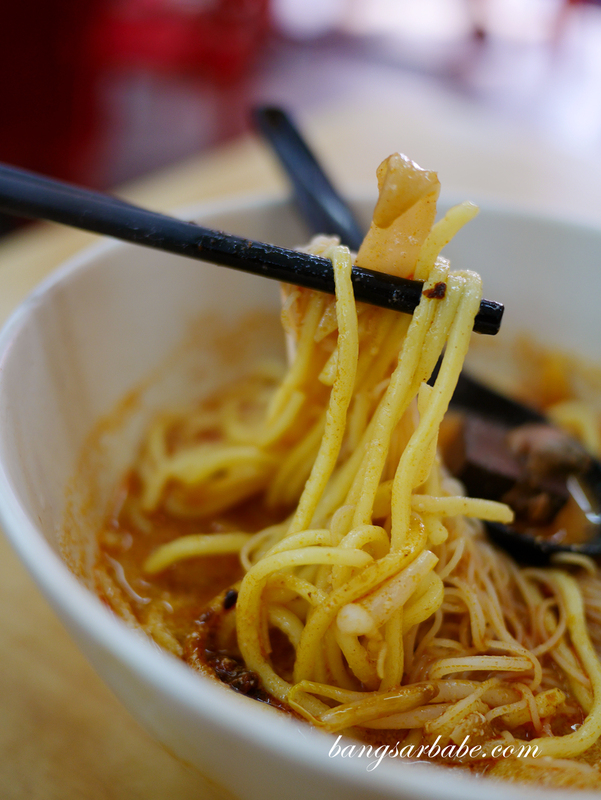 I asked for a bowl of prawn mee and curry mee, both of which are popular choices in this coffeeshop. 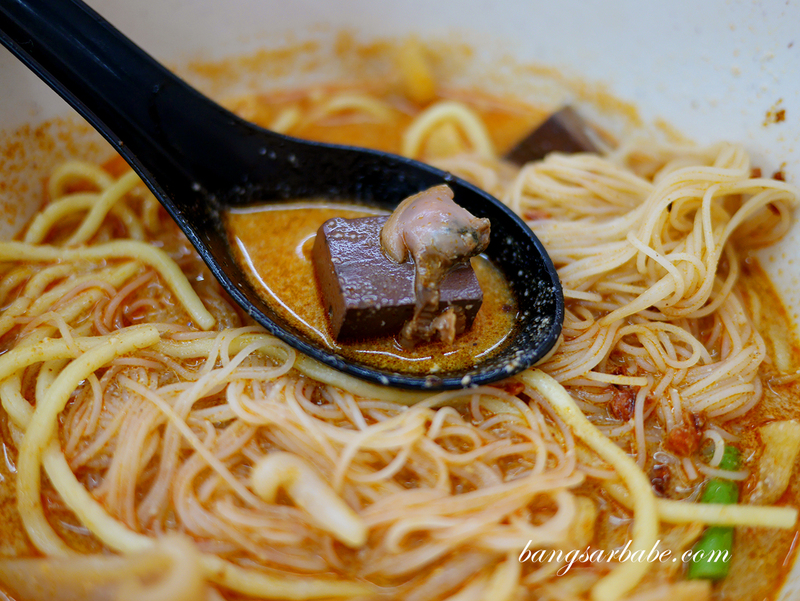 The curry mee comes with brown squid, blood cubes and cockles, like how they serve it in Penang. 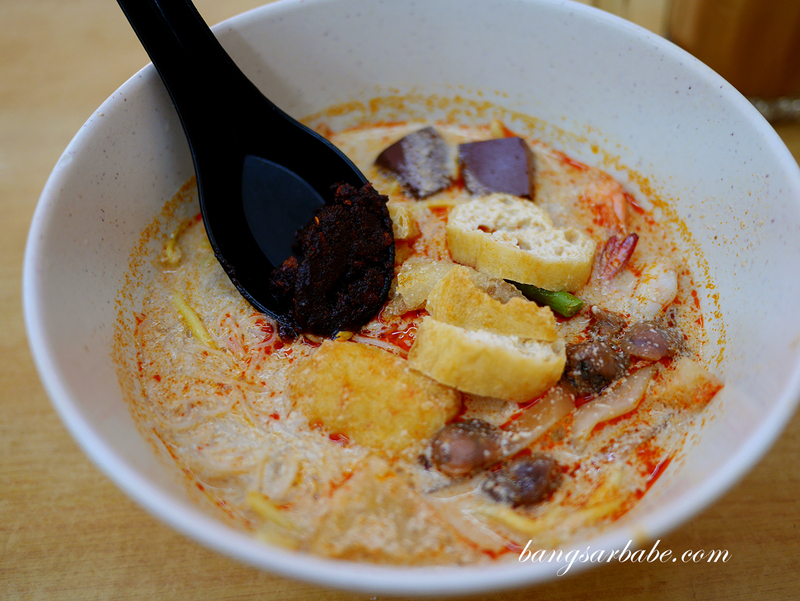 You get a generous spoonful of sambal cili to add into the clear coconut broth and I thought it tasted similar to the curry mee I had in Air Itam. The sambal has a good kick! The nice lady who served us told me that on weekends, you get to add pork ribs into your prawn mee (RM5.50 – small) so we did just that. 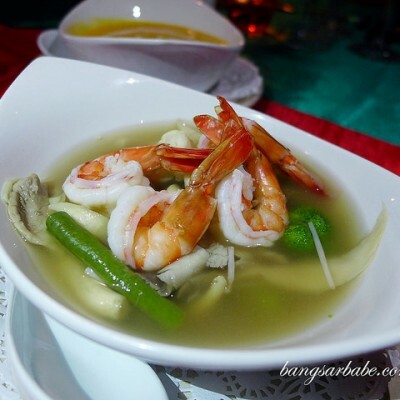 I rather enjoyed this dish – the broth was lighter than Choon’s Prawn Mee but just as flavour packed. It had a cleaner finish and if you like your noodles with a bit of kick, eat them with the sambal cili provided at the side. I thought the pork ribs were just alright; I would do without the next round. 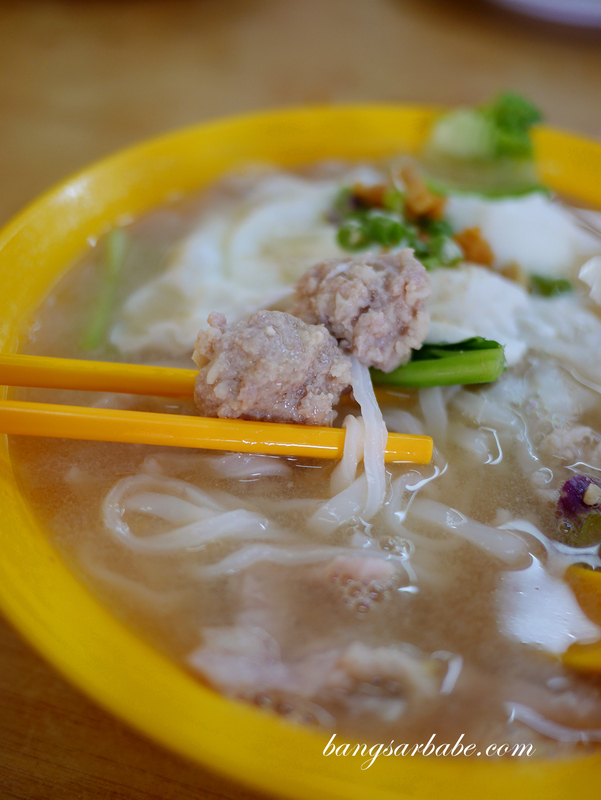 The pork noodle stall in this coffeeshop is also popular among customers though I found it average. 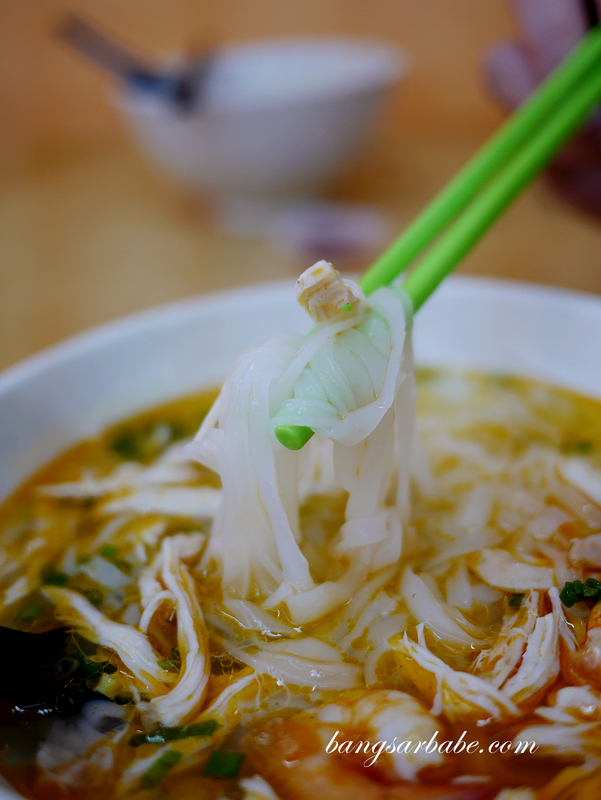 There wasn’t much porky flavour to the broth so it felt as though I was eating kuay teow soup rather than pork noodles. They were pretty generous with the minced pork though. 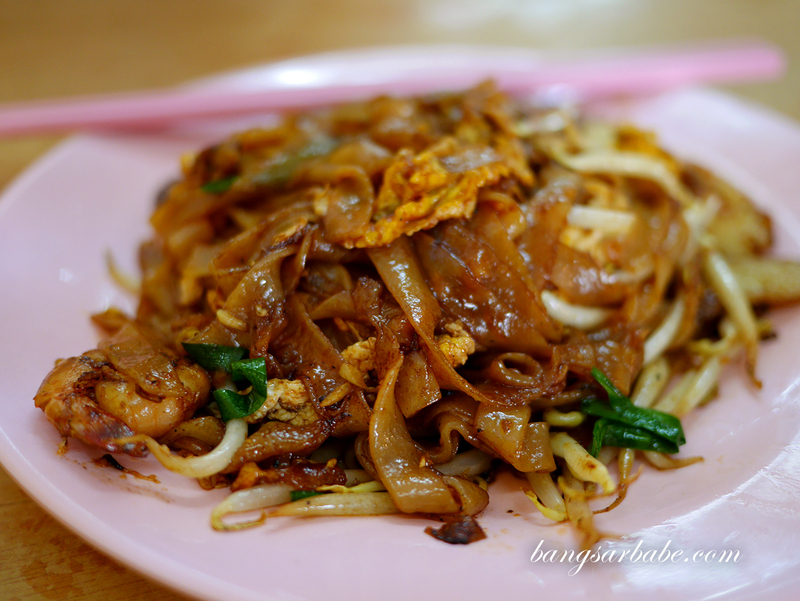 Try the char kuay teow from the “tai chow” stall towards the back of the coffeeshop – this was surprisingly good but not quite like the one in Penang. This has a good dose of wok hei and the rice sheet noodles were evenly flavoured so each bite had that smoky aroma. 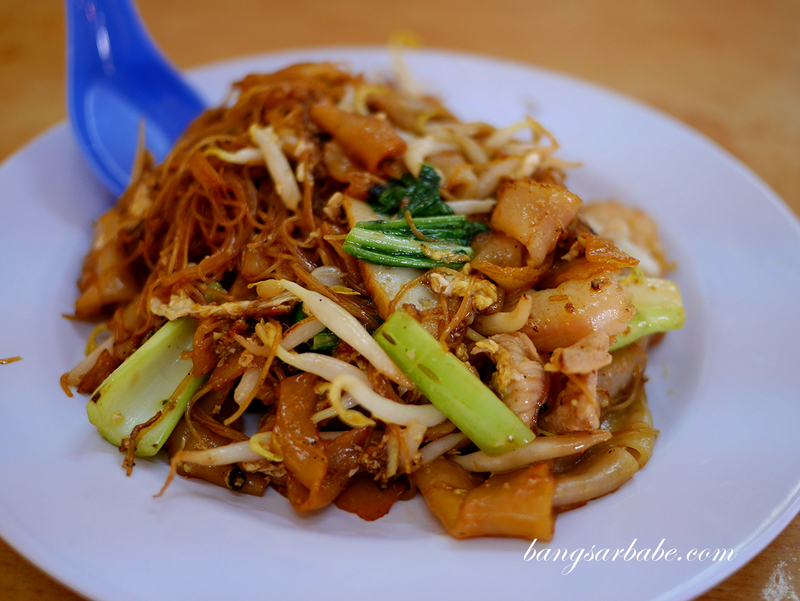 Another popular choice at Lim Sisters is the chicken kuay teow soup (kai si hor fun) but I didn’t care much for it. 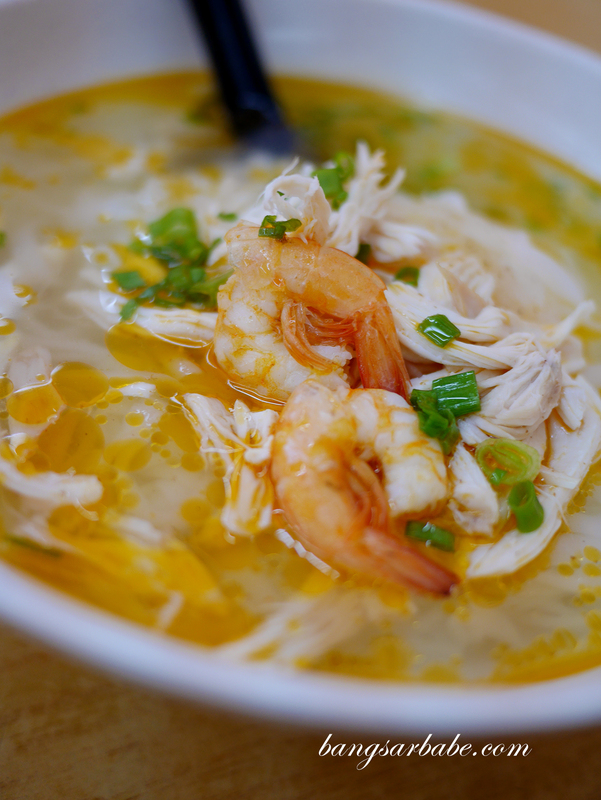 I thought the soup lacked depth and sweetness which you usually get when eating this dish. A better option for this would be in Imbi, I reckon. If you read my previous post about Penang Tua Pan, they relocated to this coffeeshop as well so I guess that makes Lim Sisters a Penang food haven in Klang Valley. I’ve been contemplating about posting this paragraph as while I find the tua pan commendable, I feel disappointed that they used my images without permission. To the extent of cropping off all my watermark. That is unethical on so many levels so I don’t know if I will continue to patronize such a stall. Like my Facebook Page here or follow me on Instagram here. 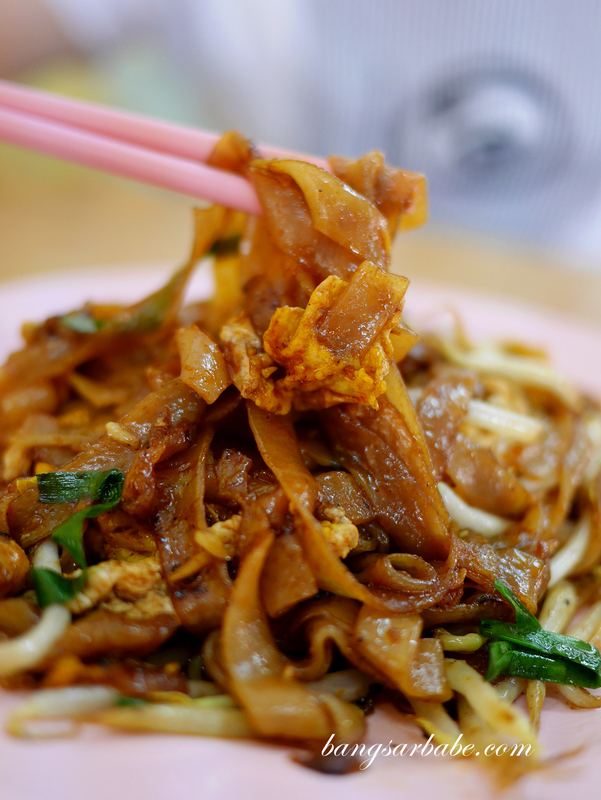 Verdict: Try the prawn mee, curry mee and char kuay teow.